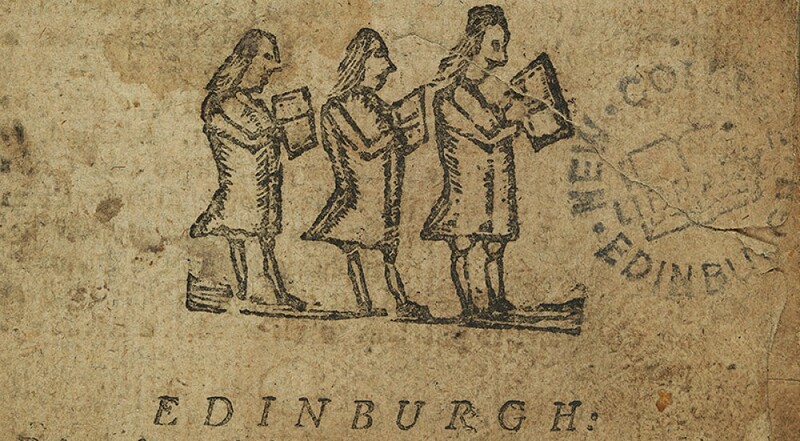 A guest post from Oreste de Tommasso, one of the Funk Project Cataloguers at New College Library. 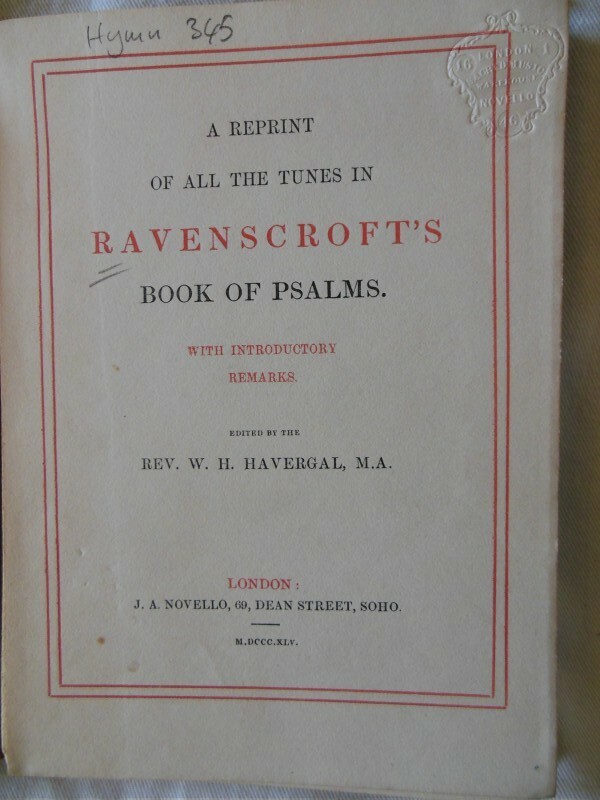 A reprint of the tunes in Ravenscroft’s Book of Psalms : With introductory remarks. London, 1845. 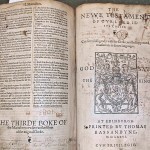 New College Library, Hymn 345. 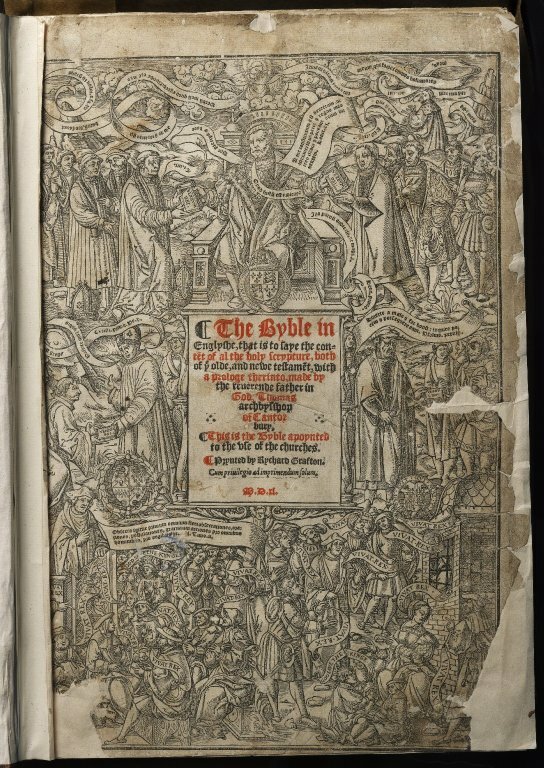 This item, an edition of the Whole Book of Psalmes, was recently catalogued as part of the Hymnology Collections Project. 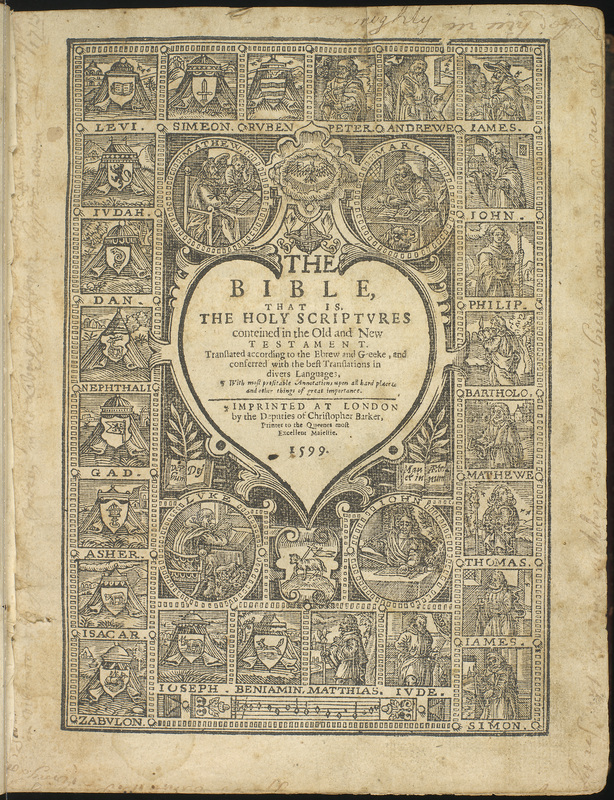 It’s typical of the many nineteenth century items in the Hymnology Collection, much of which was originally collected by the Edinburgh bookseller James Thin. 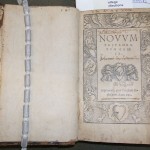 The pages in the volume are laid within a red line frame border, with an initial capital letter decorated in red ink. 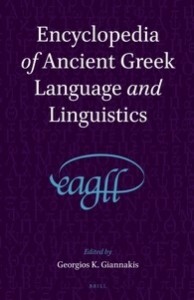 The cover title is within a rounded decorated lozenge in a golden colour. 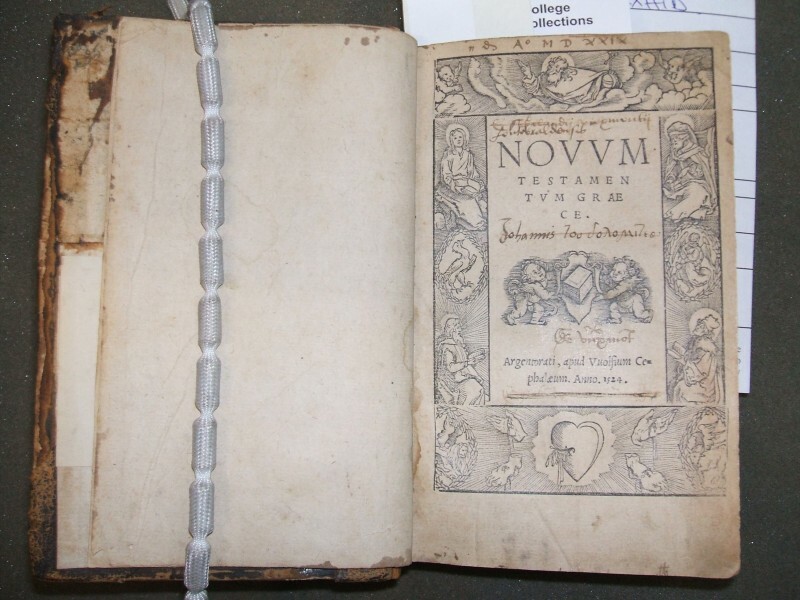 The Whole Booke of Psalmes is one of the most important psalters of the period, though it contains much music from earlier publications. 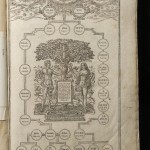 This collection includes national hymns (such as Dumferline, Dundee, and Glasgow) whose authorship remains uncertain, while the harmonizers into four parts are some of the most celebrated musicians of the Tudor era. 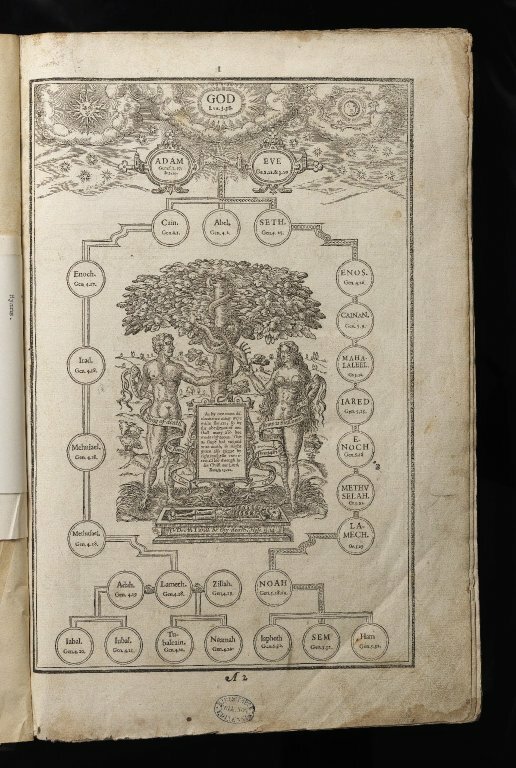 Names such as Thomas Tallis, John Dowland, Thomas Morley, Giles Farnaby, Thomas Tomkins, all feature here. 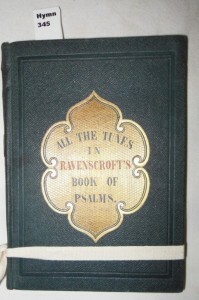 Thomas Ravescroft himself contributed fifty-five of its 105 settings. 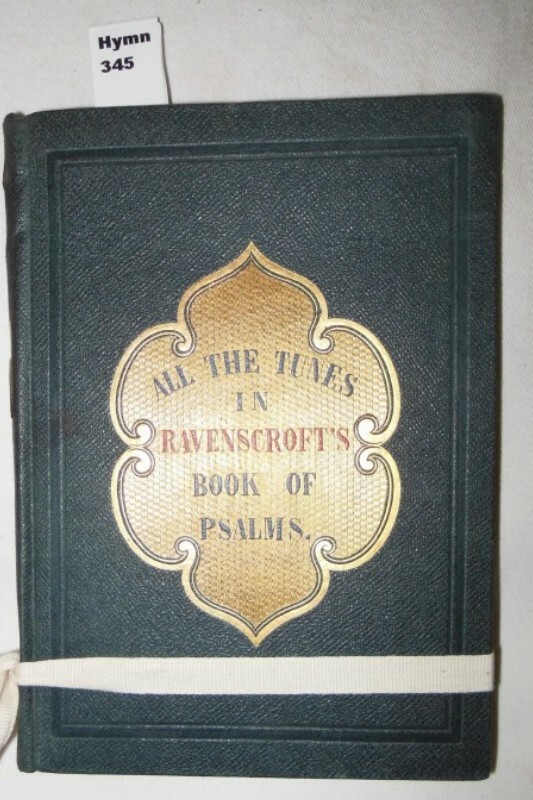 Ravenscroft was not only a good musician, but a man of considerable learning in his faculty. 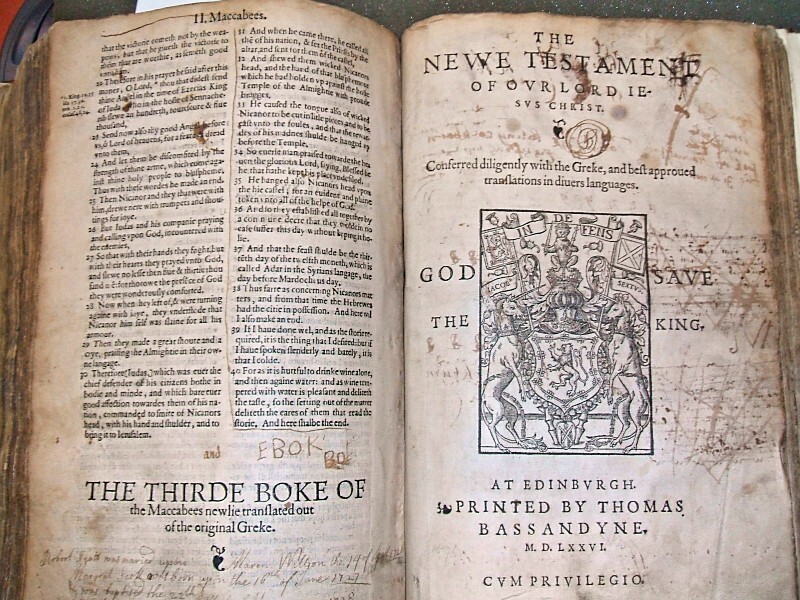 By 1598 he was chorister at St Paul’s Cathedral and graduated MusB from Cambridge at the age of fourteen. The tunes are simple in their conception, as having a syllable for a note, thus easy to sing. 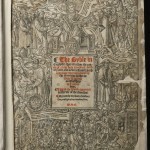 It is the Sternhold and Hopkins metrical version of the psalms. 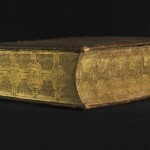 Following the customs of the period, the tune was sung in the Tenor part by male voices, while the bass provided a simple foundation while the treble voices were often learnedly ornate in counterpoint style. 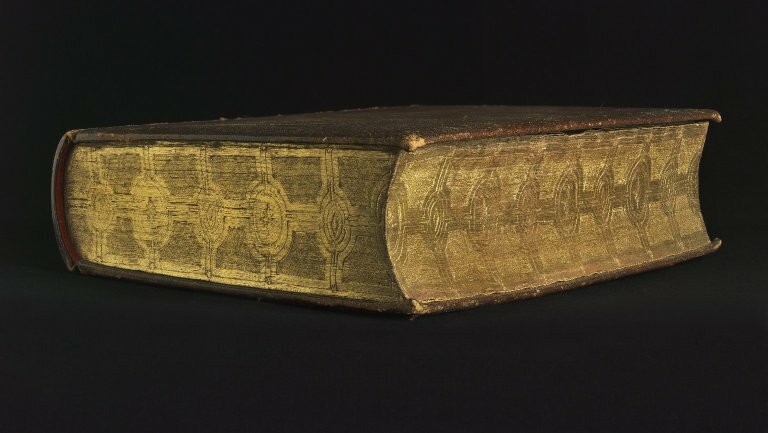 Through the events of Civil War and Restoration, this multi-part style of singing was silenced and quickly fell into oblivion, in spite of some genuine attempts to revive it. 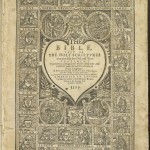 Nonetheless, Ravenscroft’ Booke of Psalmes is the fount of Psalmody across all Great Britain, and this reprint provides a compendium-model of genuine psalmody. 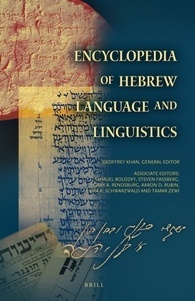 Havergal. W.H. 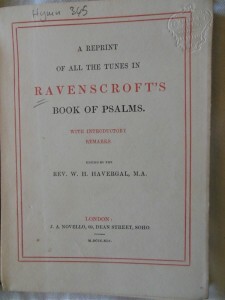 ; A reprint of the tunes in Ravenscroft’s Book of psalms : With introductory remarks. London, 1845. New this month is The anthropology of Buddhism and Hinduism : Weberian themes by David Gellner, on the shelf in Reserve at BQ384 Gel. 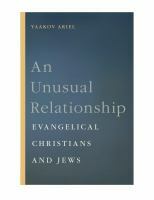 Also new is An unusual relationship : Evangelical Christians and Jews, by Yaʻaḳov Ariʼel at BR1641.J83 Ari.